The media’s pearls were clutched with both hands this week when it was revealed that Fox News host Sean Hannity was “client #3” for Michael Cohen, one of President Trump’s personal attorneys. “Journalists” were outraged that Hannity had defended Cohen on his radio and TV shows without disclosing this, slamming Fox News in the process. Which is really the only reason they reported the story in the first place. According to Hannity, his professional relationship with Cohen was extremely limited. “I never paid Michael Cohen for legal fees. I did have occasional brief conversations with Michael Cohen, he’s a great attorney, about legal questions I had, where I was looking for input and perspective,” he said on his radio show. Hannity reportedly owns a lot of rental properties around the country, and if you have a real estate question and access to a lawyer who works for a billionaire real estate developer, you’d almost be insane if you didn’t pick his brain about your investments, if you had the chance. If Hannity’s statement is true, and there’s no reason to believe it isn’t, I’m unclear how he even qualifies as a client. I’ve never employed a lawyer, but I’d imagine it would involve paying them for their services. I do have friends who are lawyers and I have asked them legal questions. I did, one time, give a lawyer friend $1 as a retainer so I could get attorney-client privilege for the advice I was seeking. It doesn’t even seem like the Hannity-Cohen relationship reached that level. Yet, because Hannity defended Cohen after his office, home, and hotel room were raided by federal agents, this has been pounced on by liberals as a breach of journalistic ethics. That “flawed” report wasn’t simply flawed or incorrect on the edges, it was so wrong it was retracted and CNN apologized to Anthony Scaramucci, who was smeared in it, for running it in the first place. That’s a significant difference Sullivan blithely glosses over to make a moral equivalence. The network did, in fact, stand behind Hannity, as they should have. What Sullivan and all the other pearl-clutchers in the mainstream media know, but hope their audiences don’t, is Hannity isn’t a journalist. His job is not to report the news, it is to comment on it. Not in an objective fashion, but to give his opinion and perspective on it. 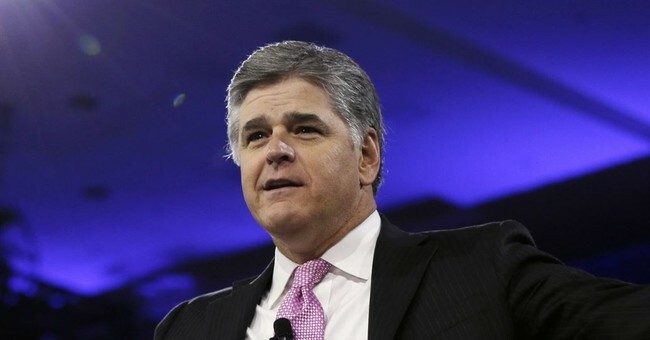 “Hannity” is an opinion show, as are the prime-time line-ups of all the cable news networks. Information isn’t conveyed in an objective manner after 8pm anywhere. Do you think the clown shows on CNN with 8 liberals and 1 conservative who spends more time attacking Republicans than exhaling is an objective “news program”? MSNBC doesn’t even wait till primetime to go hard-left, you have to show your lobotomy scar to even be considered for a hosting job there. Hilariously, Sullivan writes Fox “viewers see it as a champion against the Swamp and the Deep State, and they neither understand nor expect the need for objectivity,” as if objectivity is rampant elsewhere, or anywhere else. Democrats have no need to get colonoscopies because they know mainstream “journalists” will let them know if they see any polyps while they’re up there. This is about one thing and one thing only – damaging Fox News. Liberal journalists hate the competition, they hate the fact that what they used to happily ignore or leave on the cutting room floor now has a pathway to the public. Conservatives used to only have talk radio to hear about stories liberals wanted buried. Rush Limbaugh carved out a new pathway through which inconvenient information could flow. Fox News came next and really blew up the existing business model and monopoly on information. Then came new media, the Internet was the final deathblow to the propagandists who’d enjoyed exclusive domain over information for decades. The old order has never gotten over having the curtain pulled back and exposing them as the partisans they are, nor will they ever. Rather than report “objectively,” as Sullivan and her ilk would like you to believe, they’d doubled-down on their biases and insistence that they never existed in the first place. The Washington Post’s new motto is “Democracy dies in darkness.” And it does. But journalism dies smothered by insistent declarations that it is alive and by countless liberal journalists pressing down on the pillow. This is one of the subjects covered in my forthcoming book “Outrage, INC: How the Liberal Mob Ruined Science, Journalism, and Hollywood” due out June 19. Yes, I mentioned it in my last column, and I’ll mention it a lot more going forward. I’m proud of it, and it's a damn good and funny, thoroughly researched book. Preorder many copies here. Give one to your liberal friends, they need it.